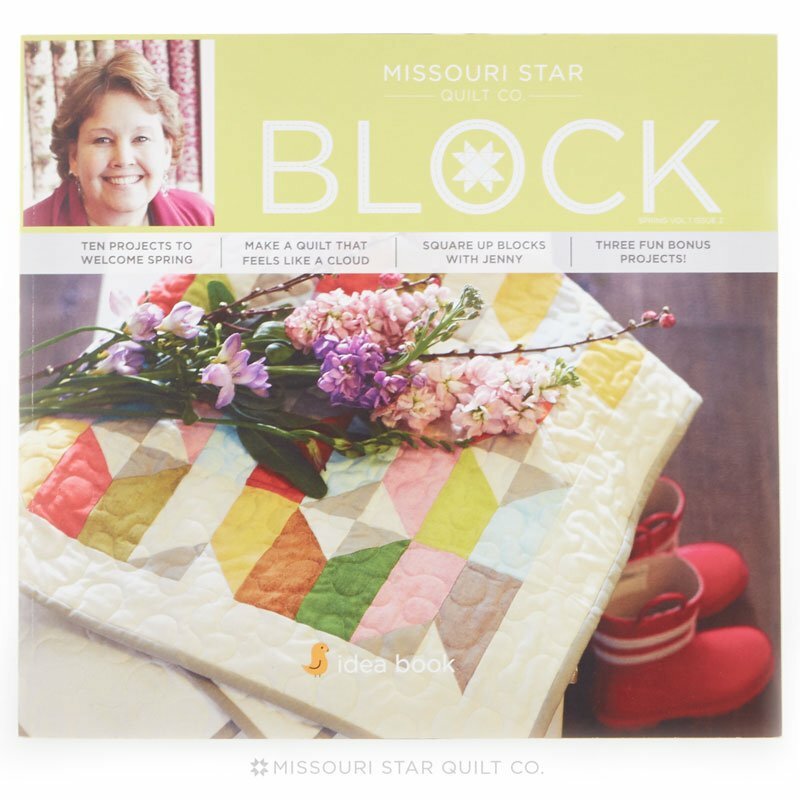 The BLOCK by Missouri Star Quilt Company. It is a magazine we design, produce, and publish all in house here at MSQC! There are no ads in it, not a single one. We take tutorials that Mom has done on the youtube channel and write the patterns, then make the quilts out of new fabric and write stories and guides to go along with them. Lots of photos, ideas for projects, and patterns all written out - 10 of them, in every issue! Add: Block Size: 4Â½â€? x 4Â½â€? Add: Block size: 16Â½â€? x 16Â½â€? (2nd sentence) Orient the V blocks in an alternating direction: down, up, down, up, and so on. Lay the V blocks sideways and alternate directions: right, left, right, left, and so on.